Search For "Legal" Companies in Gainesville, Florida - Click Here Now! Personal And Small Group Insurance And Benefits Focusing On Health Risk Management. We Provide Guidance And Options And Are Boomer Market Specialists Working With And Helping Them Achieve Peace Of Mind Through Effective Planning Strategies. We Are An AHIP certified Medicare Health Insurance plans Marketing Broker For All Senior Health Insurance Needs. 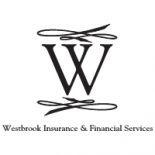 Westbrook Insurance & Financial Services in Gainesville is a company that specializes in Legal Services. Our records show it was established in Florida.